The difference between a great night a fantastic night is detail. We can supply everything you need to make your wedding a night to remember. We’ve had some crazy requests from soon to be married couples over the years and we pride ourselves in always providing a personal solution that suit everyones budget and imagination. Below are some of our most popular services we regularly provide for weddings. But dont be afraid to ask if you are after something a little different! 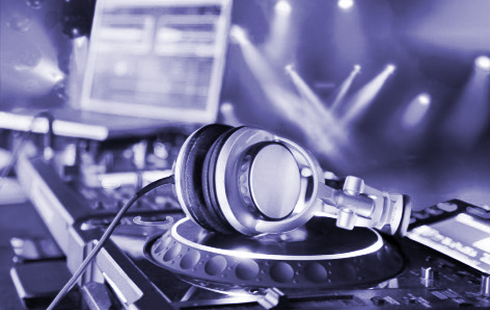 TOur DJ's use only the best sound, lighting and DJ booths on offer to not only get the partying going but look the part too. Before the big day let us know of any requests and we're happy to tailor make a playlist or just leave it to the DJ and they'll get the dance floor bouncing no doubt! From Rock to Pop to Reggae and everything in between our professional live party groups really add some extra flair to your night. We Exclusively manage some of the UK's Top Touring Party Bands with years of putting on a great show and best of all - they are only available through Jam Entertainment! The way a room is illuminated can have a dramatic effect on the ambience and atmosphere of your venue. We use fully contrallable LED DMX Lighting systems to light the room the colour of your choice - From a chilled feel during the day to flashing along with the music at night. As the song says “I bet that you look good on the dance floor” - even if you don't then at least the dance floor will look good on you! Our LED dance floor is sure to add the extra sparkle to your Day! !